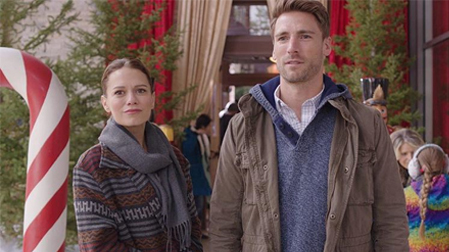 Its a Wonderful Movie - Your Guide to Family and Christmas Movies on TV: Snowed-Inn Christmas - a Lifetime Christmas Movie Premiere starring Bethany Joy Lenz & Andrew Walker! 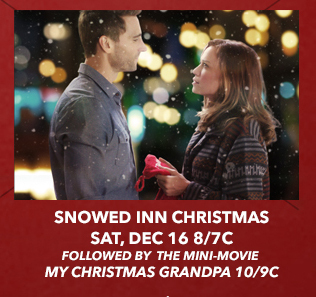 Snowed-Inn Christmas - a Lifetime Christmas Movie Premiere starring Bethany Joy Lenz & Andrew Walker! *Snowed Inn Christmas starring Bethany Joy Lenz & Andrew Walker is available: Double-Feature DVD and Streaming! Storyline via Lifetime: Jenna Hudson (Bethany Joy Lenz, Colony) and Kevin Jenner (Andrew Walker, A Bride for Christmas) are polar opposites, working for the same online publication in New York City. With both having nowhere they want to be for Christmas, they volunteer for a special writing assignment. After a snowstorm forces their plane to land in none other than Santa Claus, Indiana, the two are placed in a Christmas Wonderland and the focus of their story shifts to saving the historic town inn run by Carol and Christopher Winters. As the two overcome their differences, they also rediscover the magic of Christmas. But with the inn's fate in jeopardy and the return of someone from Jenna's past, Carol and Christopher lend a helping hand to bring Jenna and Kevin together. The film also stars Tasha Smith. Snowed-Inn Christmas is produced by Juliette Hagopian and is executive produced by Howard Braunstein. Gary Yates serves as a director; Carly Smale serves as the writer. Am watching now and can say this is already a forever favorite. Enjoy the rest!!! Can't wait to see!!! This was a good movie Net! When I saw Andrew Walker and Bethany Joy Lenz were in it I had to watch. I don't watch many movies other than HM or HMM. They were really good together. Both such good actors and of course Andrew would have great chemistry with a flip flop....he just has the ability to connect with whomever he's paired with! Snowed-Inn Christmas is the best Christmas movie I have seen so far this year. The story wasn't so original but it had all the elements an holiday film should have like romance, drama, humor, mystery and magic. 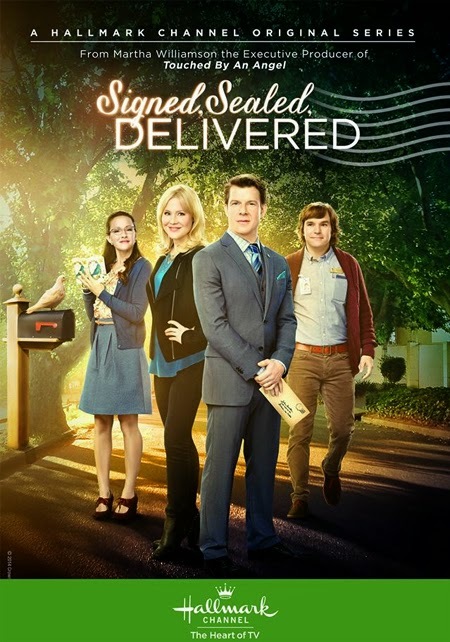 The acting was great (I loved Bethany Joy Lenz), the secondary characters had personality and the production values were higher than most of the other movies, real homes, real offices, real planes, nice Christmas decorations , decent costume design, hair and make up wasn't that bad and the snow was still fake but pretty realistic. LOVE this movie!!! Andrew Walker and Bethany Joy were so perfect for their roles! Love their chemistry and their cute banters! Love the journalism theme. It was very refreshing. The dialogues are witty and the movie was funny and engaging. I enjoyed it so much and it's definitely one of my favorites I've seen this year! I agree with previous comments. This one was so great! Lifetime really saved the best two for last. Snowed-Inn Christmas and Christmas in Mississippi are both in my top favorites for the year. Absolutely agree! 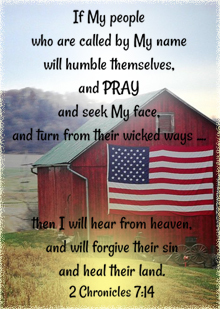 Both are in my top favorites too! Loved this movie.The cast was lovely and the scenery was really beautiful.Loved the inn and the classic car too.The story was a bit different so it was a change from the formula usually seen in these films.I hope to see the two leads together again ... they make a nice pairing. I loved this movie. The banter between Kevin and Jenna was so funny especially the airplane scene. To me, the most touching part was when Kevin faced his fear of going home to let Jenna have a bit of Family Christmas. 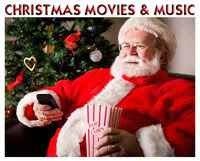 I only watch Lifetime for the Christmas movies, otherwise it's Hallmark channels. I'm the same, Namegirl... I, too, only watch Lifetime at Christmastime... and this movie is most definitely one of my Lifetime Christmas movie favorites!!! Glad you love it, too! Andrew and Bethany truly bring this story and characters to life! They are wonderful together! Great chemistry! Love the scene you mentioned. Did anyone else notice, when Jenna and Kevin eventually get married, Jenna will be Jenna Jenner? I am always looking ahead to when they get married :) Or maybe she will be Jenna Hudson-Jenner since she is already an established writer. But I like Jenna Jenner better. 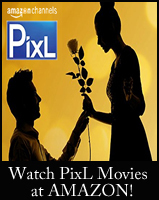 I think this movie far exceeded the current crop of Hallmark movies. 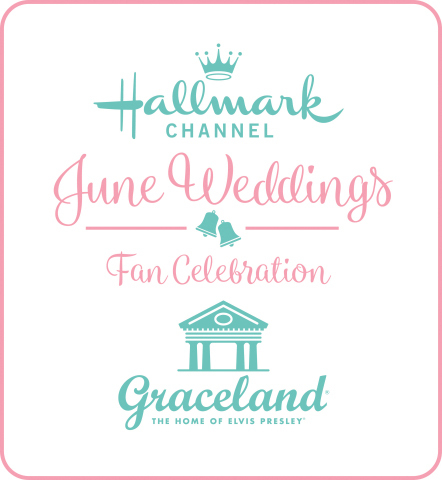 I used to enjoy Hallmark movies, but they've become very wooden and in some cases, just plain awful. 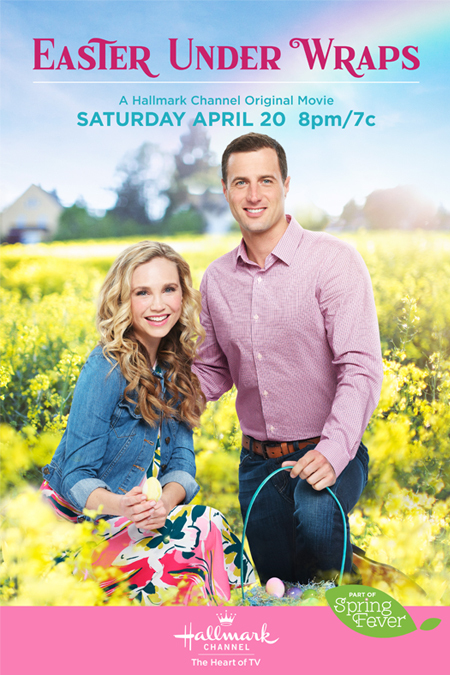 Lifetime will be competitive with hallmark if they continue to put quality over quantity. The acting was much better, the chemistry was great and although the story was predictable, I enjoyed watching the evolution of the relationship and the real fun they seem to be having throughout the film. They are using the same crop of actors, but yet the acting is much better. This is one of my favorites this season. Totally agree with 'Vee' and others. I am a die hard Hallmark Christmas fan butbthese two are keepers to watch over and over all season. AND did anyone notice that Lifetime only showed the 1 year later ending for both of these movies a couple of the telecasts 2017?? What is with that? Still love the acting and deeper stories Lifetime offers. “Snowed-Inn Christmas” was ok, but I felt like the movie relied too much on Christmas movie clichés from past Hallmark movies. However, I thought that the acting was good and that Bethany and Andrew had great on-screen chemistry! What was different on the Director's cut? This movie was pretty good as it was. Must have been the additional ending... 1 year later when they get married. I hope the directors cut will be made available on dvd, along with Christmas in Mississippi!